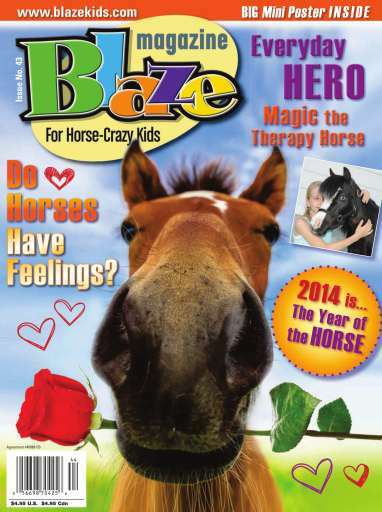 For horse-crazy kids. It’s the Year of the Horse – so what’s it mean? Find out in this issue. And we’ll introduce you to Magic, a tiny horse that works as a Therapy Horse. 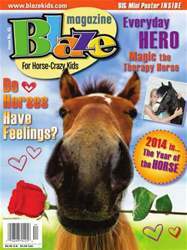 Plus Clydesdales our featured breed, examining if horses have feelings, unusual horse friendships, jokes, crafts, contests and more.